Insight into Australia’s largest counter-terrorism investigation. Australian law enforcement, intelligence and security organisations work hard to keep our nation safe from terrorism. In November 2005, these authorities took down 21 Australian Islamic terrorists who were planning a devastating attack on our nation. 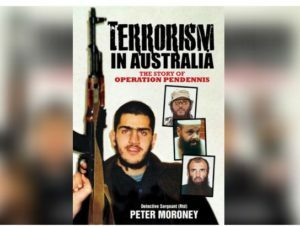 Peter Moroney, a former Detective Sergeant on the New South Wales Police Force, has penned a new book Terrorism in Australia: The Story of Operation Pendennis. Joining Fairsy this morning for his Big Breakfast, Peter discusses the details of Australia’s largest and most significant counter-terrorism investigation of its time. To puchase your copy of Terrorism in Australia: The Story of Operation Pendennis, click here.